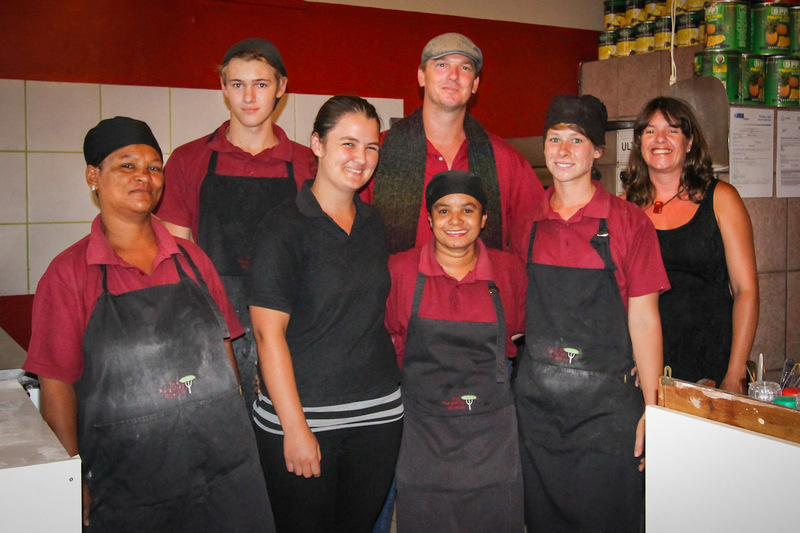 We are a owner run Pizza and Pasta house situated in the gorgeous hamlet of Montagu. Surrounded by towering mountains and home to genuine small town personalities one can’t help but fall in love… and stay! the Burgundy Gherkin first opened its doors in 2012 and has since cemented itself locally as the go to venue for the best Pizzas and Pastas this side of Italy… and that’s the way we like it. We love people, we love food, we love good times what better way to marry all of these joys and create the only Burgundy Gherkin in the world! But don’t stop there we have a varied menu as well as being Banting Friendly! We take enormous pride in the fact that locals and visitors to the town alike comment on the fabulous vibe and the simple pleasures that are offered, cliche as it is we have often heard it feels as comfortable as coming home. What a blessing and accolade. Our staff are all hand picked for their very real personalities and abilities in ensuring quality food and service remain the cornerstone of our endeavour. Fresh ingredients, secret recipes and a fair amount of trial and error have allowed us to remain highly ranked for our quality foods that stream from our open kitchen. We look forward to welcoming you to our little project that is filled with laughter and often live music performed by locals from the town. Come in have a seat and relax. Good Food – Good Times – Good People.